The world rightly remembers the mass murder of Jews and other minorities by Nazi Germany during the Second World War. In its scope, the Shoah dwarfs anything in human history, and its echoes continue today in the rise of anti-Semitism in Europe, much of it driven by radicalized Islam. But the Shoah was by no means the only mass murder carried out in the 20th century. In fact, the dress rehearsal for the Nazi extermination of the Jews took place exactly 100 years ago, in 1915. The genocide was carried out by Turkish authorities, and it murdered more than 1 million Armenians, a people who were overwhelmingly Christian. Religion wasn’t the only reason for the killings – ethnic and economic resentments of Turkey’s Armenian minority played an important role – but Muslim contempt for the “unbelievers” legitimized the violence and was a powerful current throughout the killings. To this day, Turkey has never adequately acknowledged the Armenian genocide. As President Jimmy Carter once remarked, “there weren’t any Nuremburg trials” for the mass murder inflicted on the Armenians. During the Cold War, Turkey was a NATO ally. The United States and Europe found it easier to turn a blind eye to history than to resurrect a crime from the past. Today, with the resurgence of militant Islam inside Turkey itself, a full national truth-telling by Turkish authorities may be even more remote. Armenians were the first nation in the world to formally adopt Christianity in A.D. 301. Today, in their historic home regions of modern Turkey, their culture and memory have been wiped out. Every year on April 24, Armenians around the world celebrate Remembrance Day for the victims of the 1915 genocide. This year, on the centenary of that mass murder, Christians from every tradition need to remember and pray for the victims of that genocide, which remains one of the worst unrepented crimes in history. We also need to remember that the persecution and murder of Christians still continues at the hands of ISIS and radicalized Islam throughout the Middle East. And to date, our national leadership has been utterly ineffective in stopping it – or even fully engaging it. We Americans take for granted our traditions of religious liberty, human rights and judicial process. We see the coexistence – and even the friendship — of different religious communities and beliefs as quite normal. But it’s not. We too often don’t understand the uniqueness of that gift. Today, in many places around the world, living as a Christian invites discrimination, hatred and violence. The beheading of Christians by ISIS is the latest crime in a long history of Middle Eastern Christian martyrdom – not the phony and homicidal “martyrdom” that involves blowing up innocent women and children, but the real martyrdom of being murdered for one’s belief in Jesus Christ. Lent is a time of repentance. It’s also a time for forgiving even the wicked. But it’s also a time to remember and learn from history — even when the whole world wants to forget it. This Lent we need to remember and pray for the Armenian Christians who died 100 years ago. Like us, they were part of God’s people; the people of Jesus Christ. The memory of their suffering should turn our hearts and our energies to helping the millions of Christians now suffering in the Middle East and around the world. For background on the Armenian genocide, read “The Burning Tigris: The Armenian Genocide and America’s Response,” by Peter Balakian (HarperCollins, New York, 2004; available on Kindle and in paperback). I love the Archbishop. He is a true ad honest man whom I greatly admire. Thank you so much Archbishop Chaput for this great article. I have often wondered why so few people, catholics as well, hardly ever talk about this genocide. Christians should always encourage one another to be positive and happy.But never at the cost of turning a blind eye to the suffering of Christians(and others). What kind of “peace” comes from indifference, camouflaged as being “positive”? Suffering Christians don´t wish to see us unhappy but they long for and are in desperate need of our deepest sympathy. A catholic once complained bitterly, saying that “the Jews never stop reminding us of the Holocaust”. “Who talks about the millions of Christians who have been murdered?” I was saddened and, yes, very upset to hear this, since it was so antisemitic. I agree to 100 % that people, most catholics as well, talk far too little about the massmurders committed on Christians. But instead of blaming the Jews for this shameful attitude, all of us, Catholics and non Catholics, should ask ourselves why we oureselves don´t talk about this. 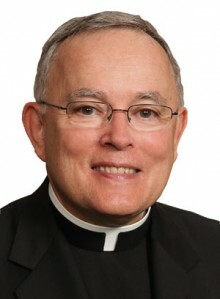 We should do just like Archbishop Chaput; telling the truth, reminding “the world” of the unspeakable suffering millions of Christians have endured, over centuries and especially (according to historians) in the 20th and 21st century.